I used turmeric, purple cabbage with and without vinegar, and strained puree of greens. The vinegar mix resulted in the darker blue, but as you'll see below, it isn't very durable... it rubs off quite easily. 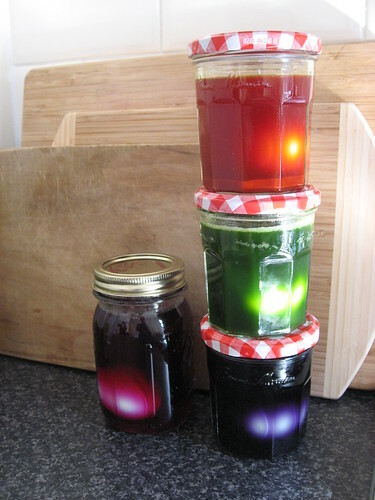 I thought they were quite pretty, but I decided to experiment with some double-dyeing, so back into the jars they went. 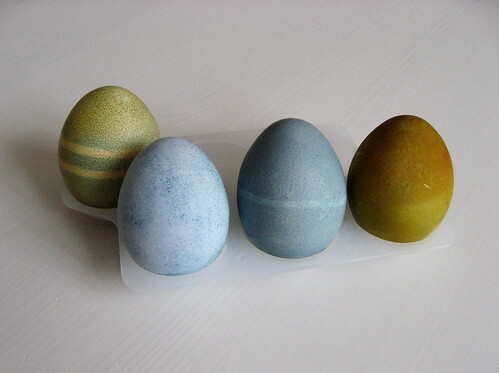 These were over-dyed with purple cabbage, nothing, purple cabbage, and turmeric. 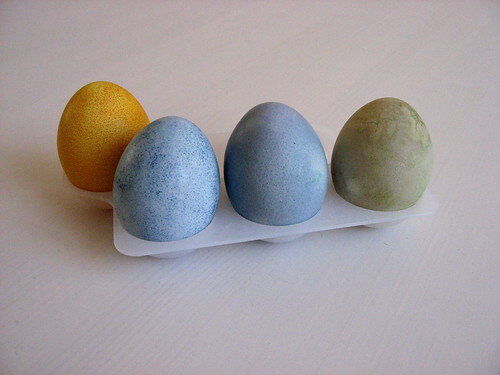 I re-dyed the non-vinegar egg to see how much darker it would get and left the rubbed vinegar egg as it was for comparison. You can see from the stripe that it did get noticeably darker, but nothing like the original vinegar egg. I prefer the more permanent dye and leaving it longer to get a darker result. 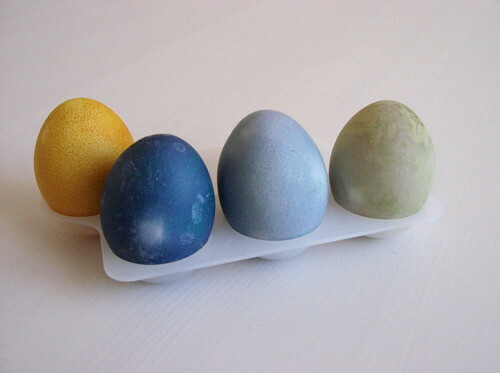 My favourite is absolutely the turmeric and purple cabbage egg. 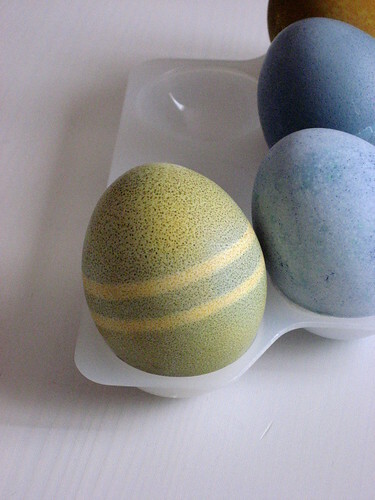 I love the speckled green with yellow stripe.